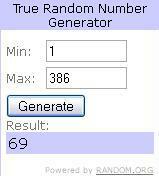 A big congratulations to the winner of the Baby K’tan giveaway – #69! The winner was chosen through Random.org after entries were combined from both very, very fine and Natural Parents Network. 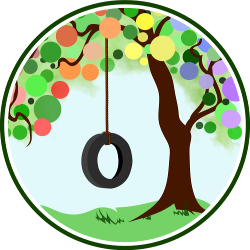 The winner entered at Natural Parents Network. 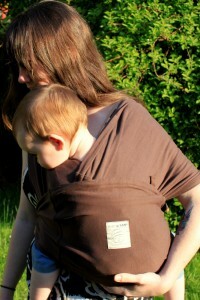 The Baby K’tan is a carrier that is made from two connected loops of fabric. Included with it is a sash that is used for some positions and a matching hat for your child. It also comes with a detailed instruction booklet and the website hosts several instructional videos. In addition to selling baby carriers, Baby K’tan also sells jewelry, clothing and other accessories designed to make your life easier. If you weren’t the lucky winner, you can purchase a Baby K’tan carrier through their website. Basic carriers start at $62.99. And just for our readers, Baby K’tan has provided a generous discount of 15% off your order with the code “NPN15” at checkout. This discount is good until October 1, 2011. Check out the Baby K’tan website. Disclosure: Our reviewer purchased the Baby K’tan for review. The winner will receive a free Baby K’tan carrier. Thank you! I’ve already received my Baby K’tan and am trying it out this afternoon!